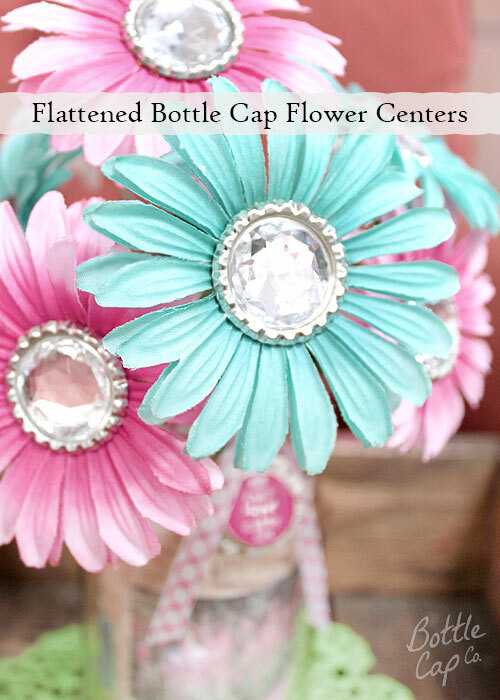 Mother's Day DIY Gift Blog from Bottle Cap Co. 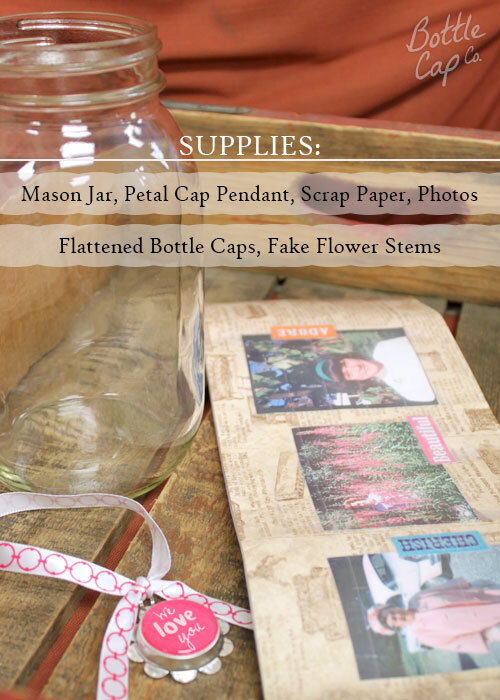 Looking for a unique, personalized, heartfelt and inexpensive DIY gift for your mom? 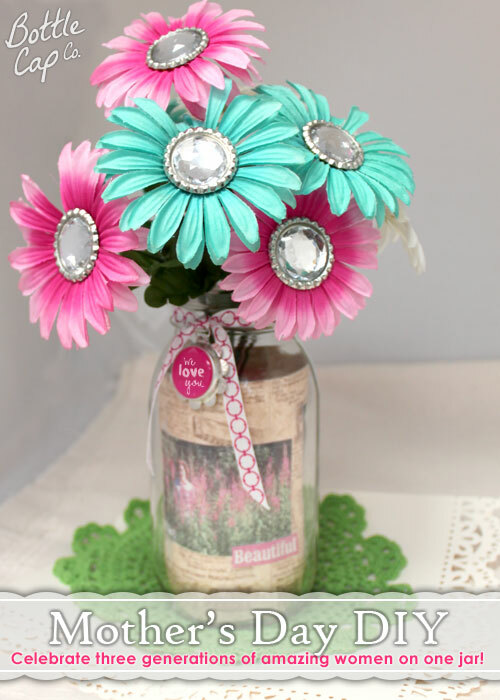 Check out this Gerbera Dasiy floral arrangement with sparkly bottle cap centers and a special tribute to three generations of amazing women! First let me say that this isn't a step-by-step how to blog post. 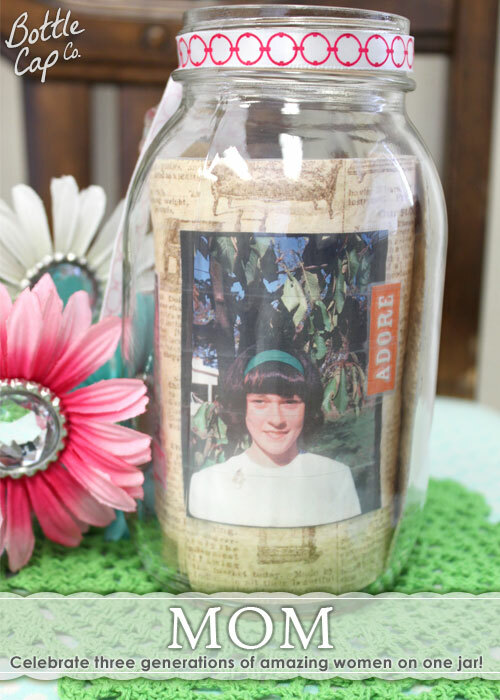 I wanted to offer an idea that has lots of great possibilities for Mother's Day. 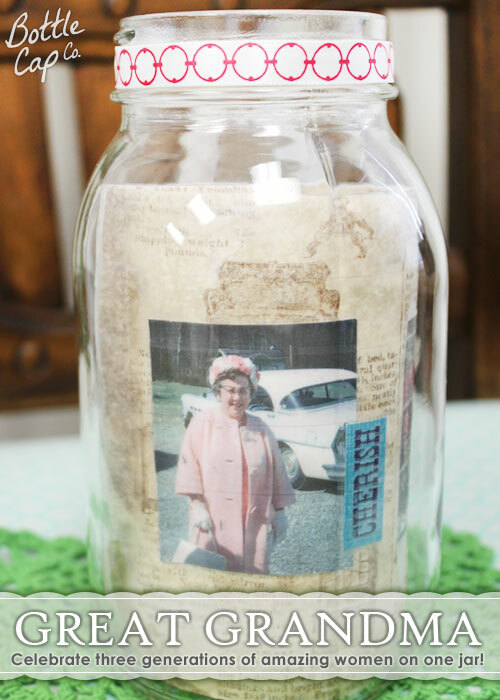 Choose your own style and create something that your mom will love, from cute and bright to vintage or glamorous and sophisticated! Plus, here's a really good excuse to grab a coffee and go explore the scrap and paper craft section of your favorite craft/hobby store. 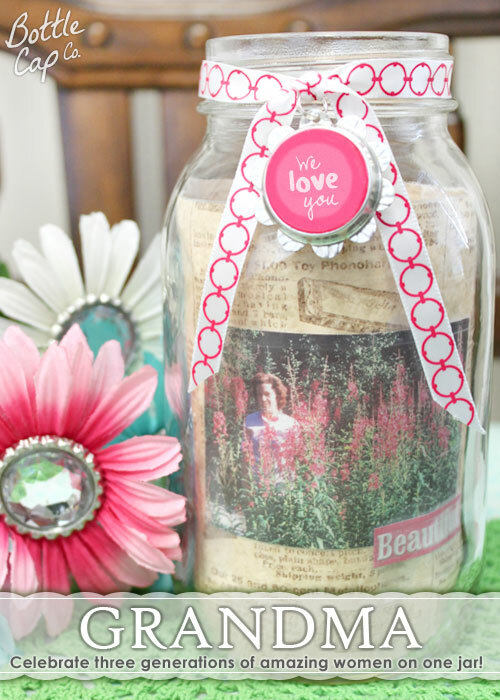 Even simpler, use some of the beautiful supplies you have on hand that are just waiting to be displayed in your Mason jar vase. Feel free to comment below or call our customer service line if you have any questions about this craft or Bottle Cap Co. supplies!